Frank's works are produced in limited editions after which the moulds are destroyed, making each artwork truly unique and special. 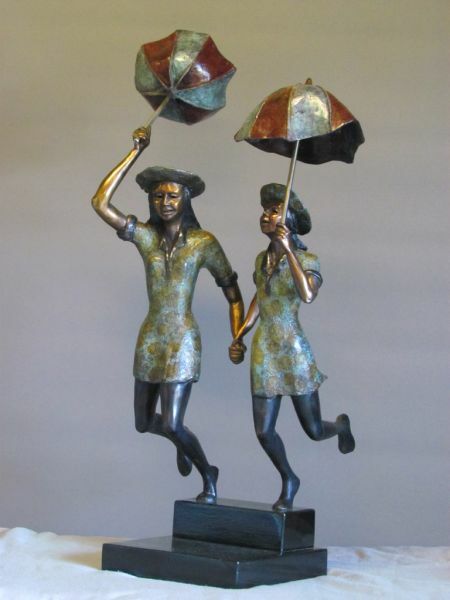 Frank Miles is a unique Australian artist specializing in Bronze Sculpture. Frank's work has been exhibited in over 60 solo and group exhibitions and numerous sculpture competitions around the world. Since 1985 he has been commissioned to complete public bronze works internationally, and most recently completed commissions for the Gold Coast City Council and Ballina Shire Council on the east coast of Australia. Frank's formal studies in Zoology and Botany have given him the skills to produce strikingly life-like sculptures, but he is equally adept at modern and abtracted styles. 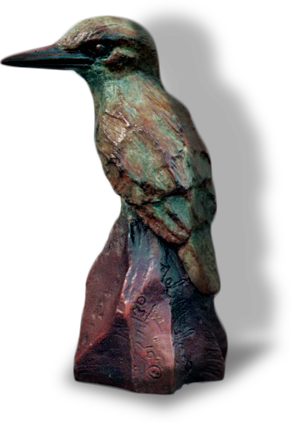 Frank Miles bronze sculptures can be found in private collections, boardrooms and Embassies throughout the world. Here on Frank's website you can view a selection of his works, as well as learn more about the artist himself and why he is so passionate about his work! Browse the Gallery or take a look inside The Studio to find out about Frank's unique sculpting process. The news section will keep you up to date on Frank's latest projects and you can get in contact with Frank on the Contact page. Having trouble viewing this site? Click here.